This is a prayer for a blueberry girl . . . A much-loved baby grows into a young woman: brave, adventurous, and lucky. Exploring, traveling, bathed in sunshine, surrounded by the wonders of the world. What every new parent or parent-to-be dreams of for her child, what every girl dreams of for herself. 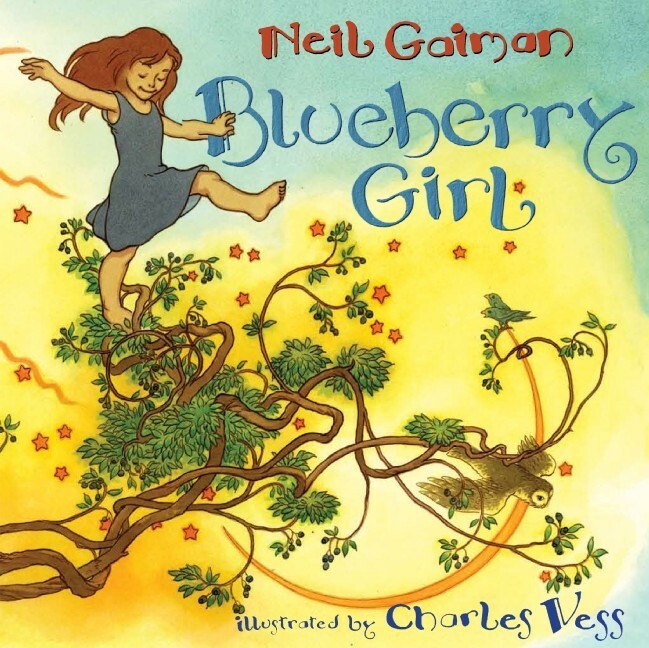 Nationally bestselling author Neil Gaiman wrote Blueberry Girl for his friend, Tori Amos, who was about to become the mother of a little girl. Here, he and beloved illustrator Charles Vess turn this deeply personal wish for a new daughter into a book that celebrates the glory of growing up: a perfect gift for girls embarking on all the journeys of life, for their parents, and for everyone who loves them. Give her all these and a little bit more, gifts for a blueberry girl. For more inspirational books perfect for occasions such as graduations or baby showers, visit our special feature on the Top Mighty Girl Books for Graduates.